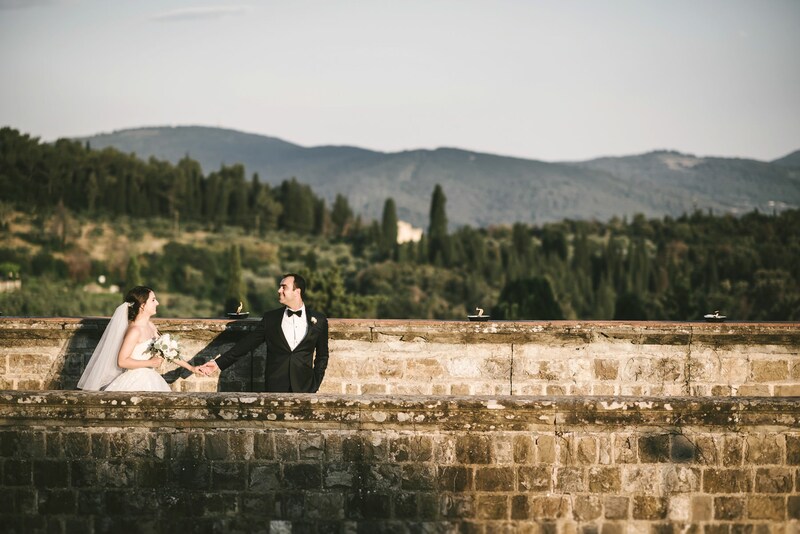 Destination wedding in Italy: take the extra step with a whole lot of romance! 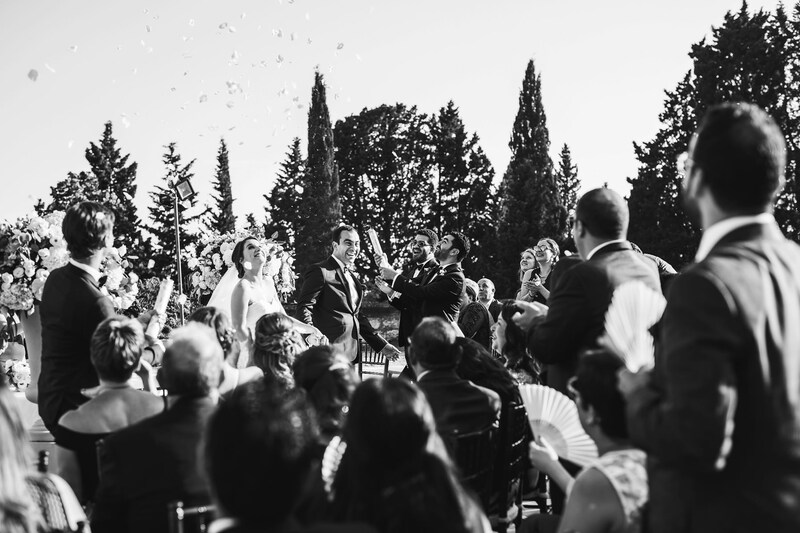 In the last years, destination weddings have become more and more popular. 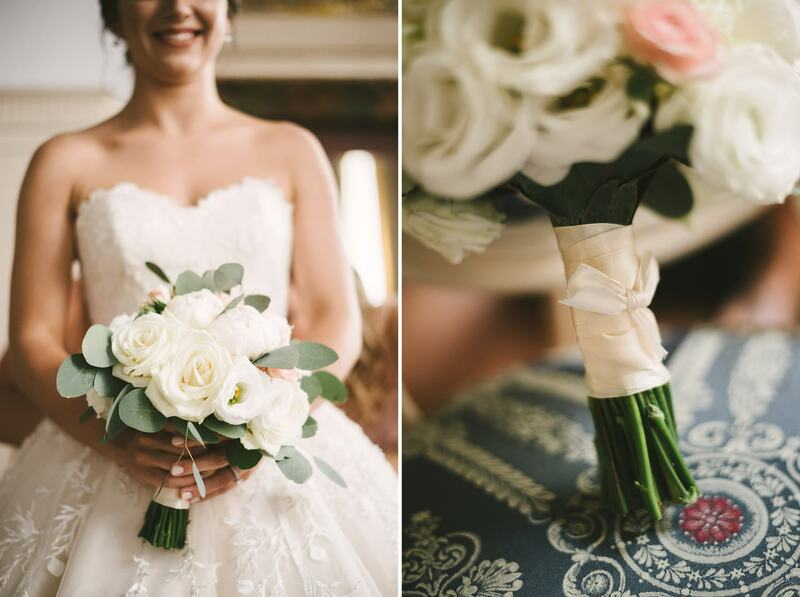 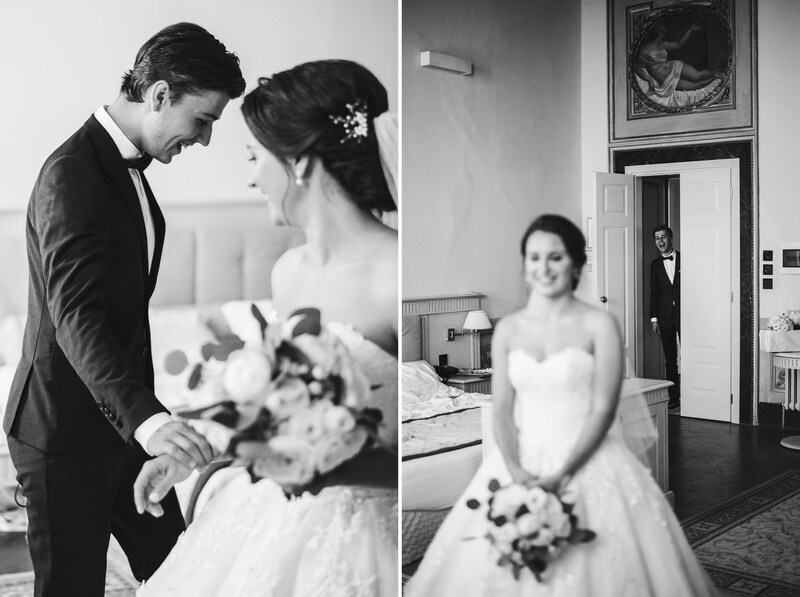 They convey a sentimental and exotic touch to a very special day. 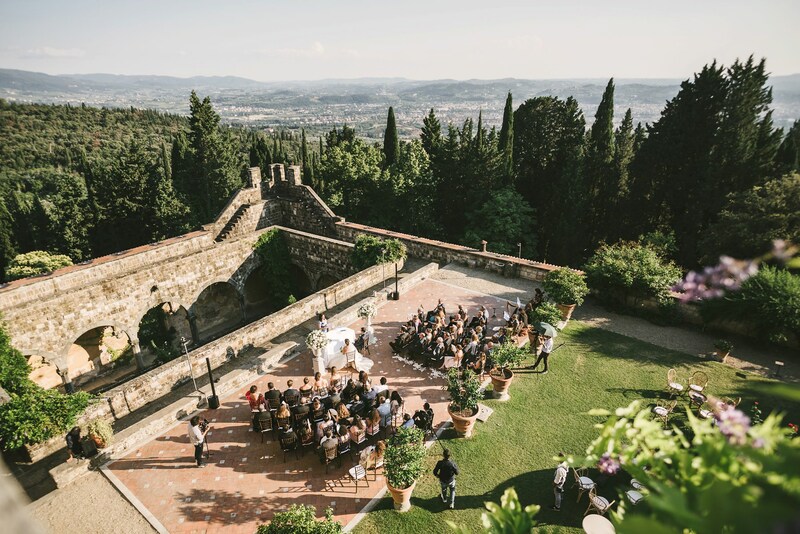 You might be one of those who have always been dreaming of a unique destination wedding in Italy – probably one of the most romantic places in the world! 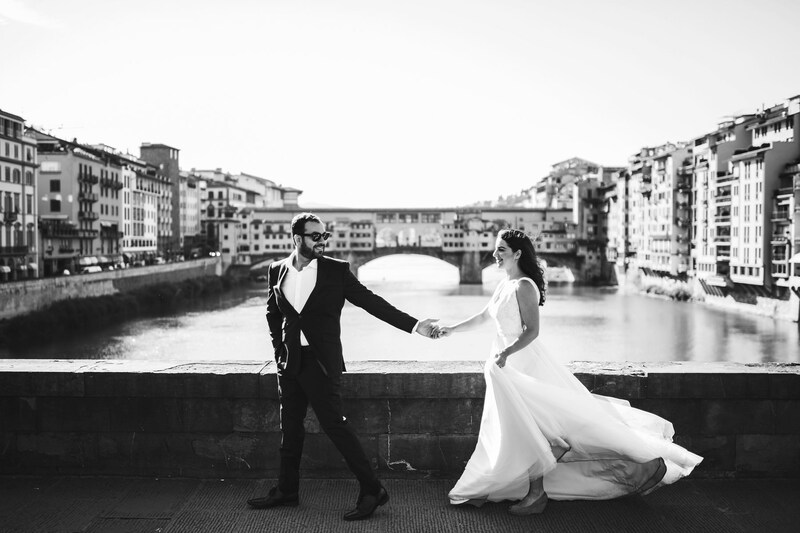 Maybe because of a movie you saw, maybe because of the delicious food and wine, maybe because of the immortal art and culture… or maybe because it’s halfway between your spouse’s and your home countries. 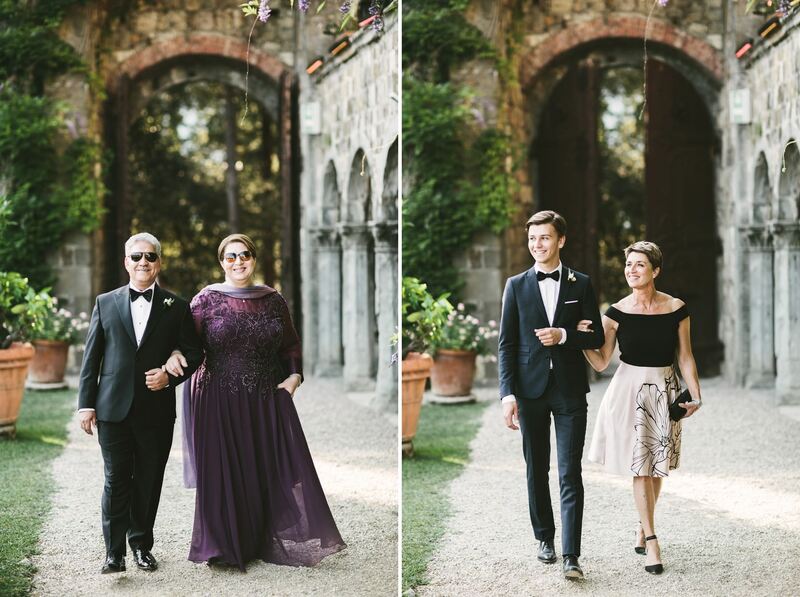 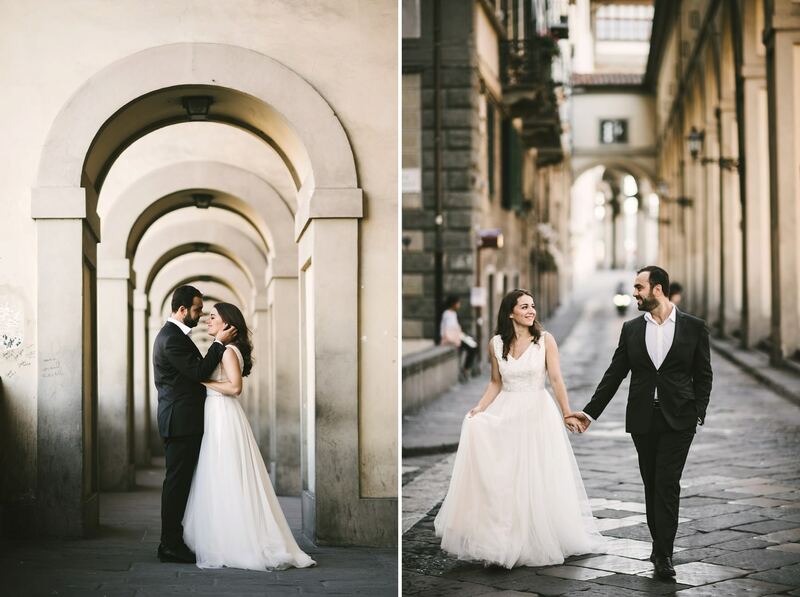 Maybe it’s an unusual story, but one of the best things about my job as a wedding photographer in Florence is that I get to know the most diverse couples – and they all have a different story to tell. 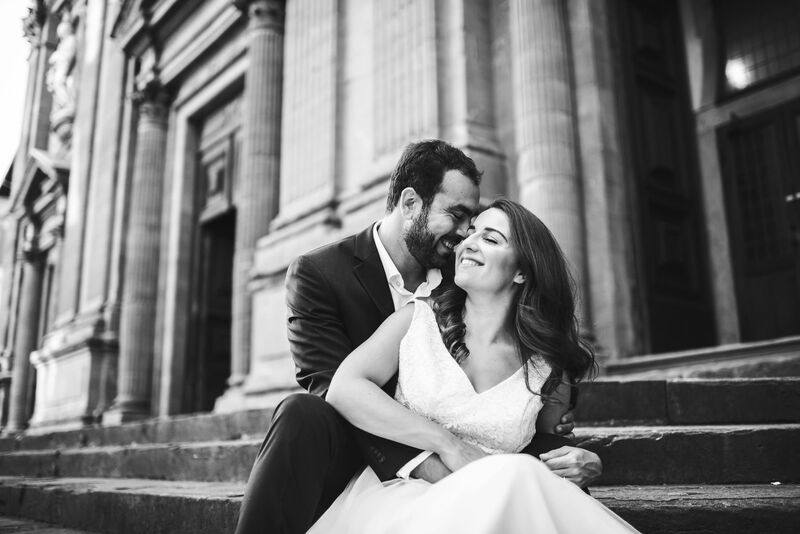 This multicultural couple is composed by Mathilde, Canadian, and Mohamed, Egyptian. 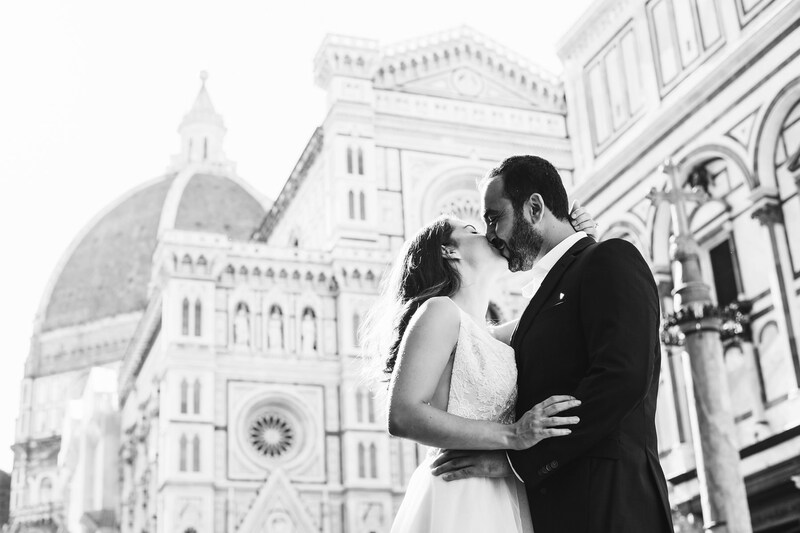 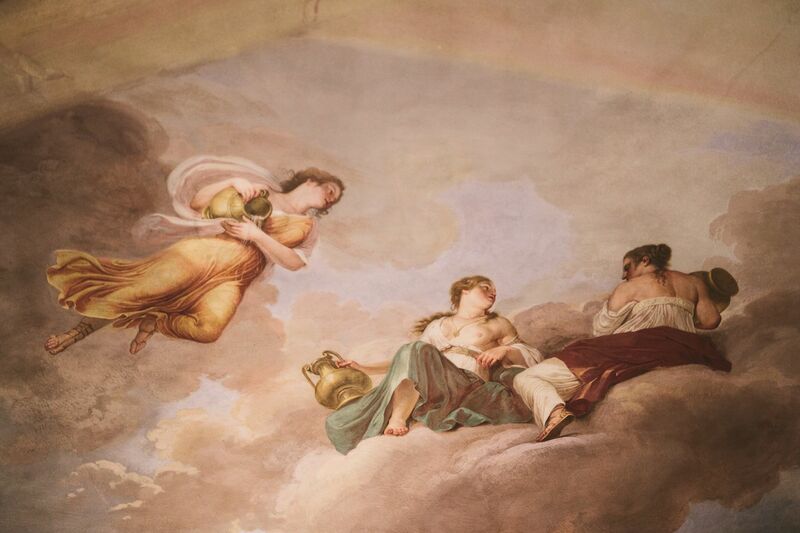 When they decided to get married, they chose Italy because it’s halfway between them, both in a geographical and symbolical way. 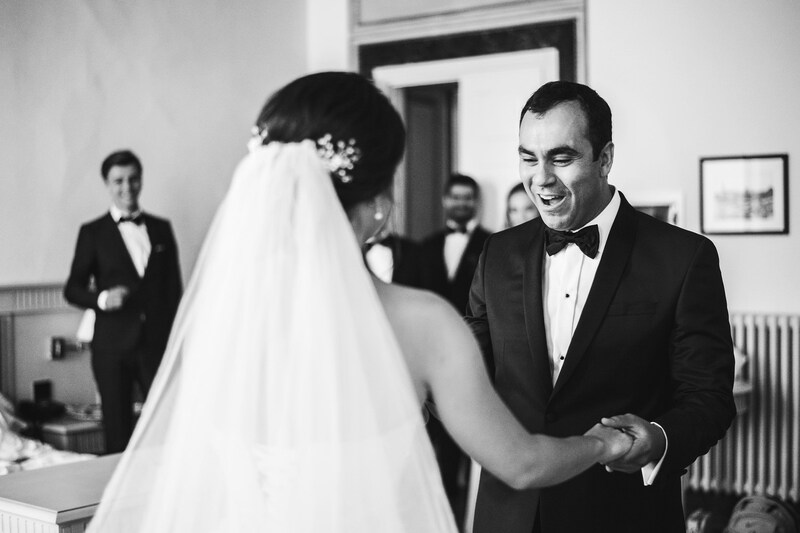 As Mohamed himself said: in order to marry someone with a different cultural background, you need to take an extra step. 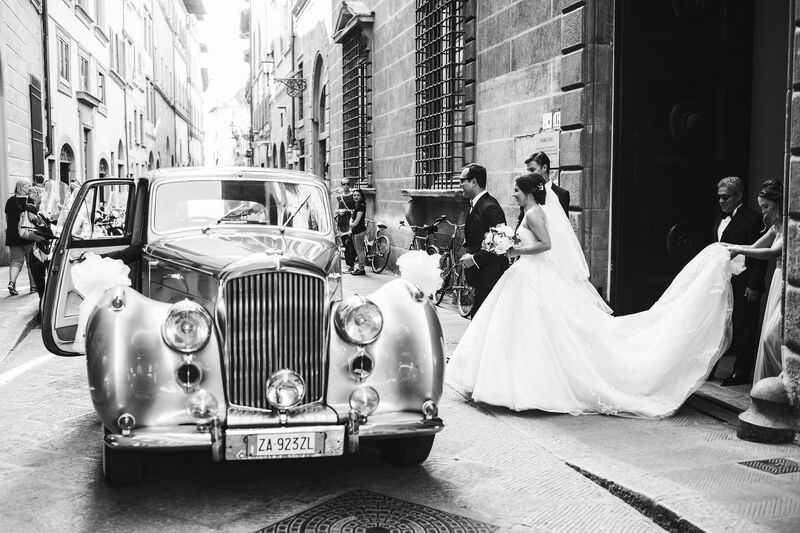 That was why they opted for a destination wedding in Italy: it was a symbol of that extra step they took towards each other. 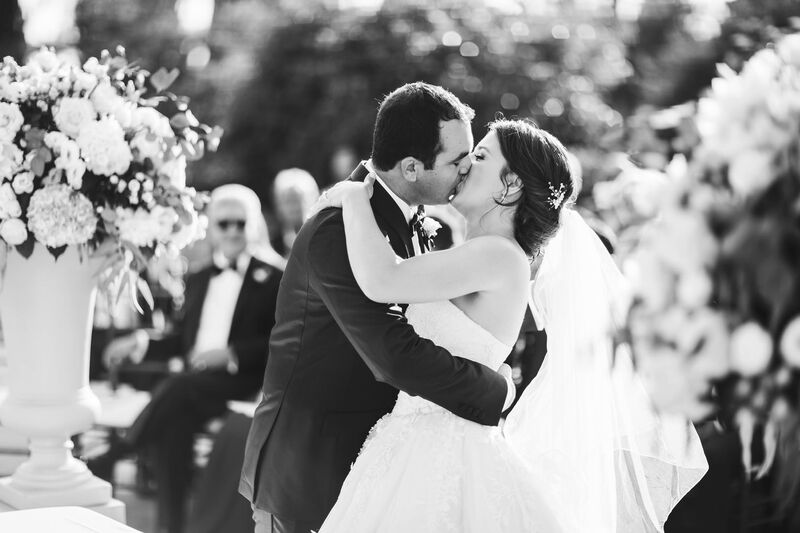 A symbol of their love. 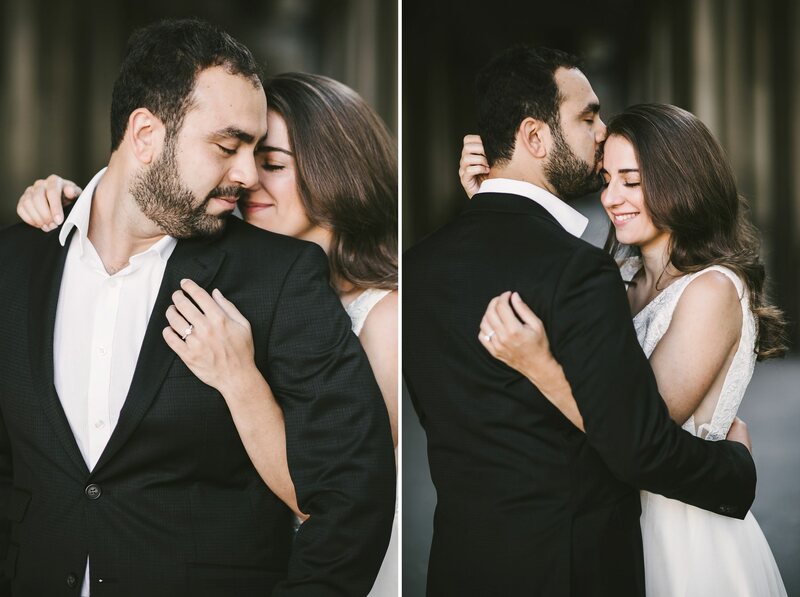 In order to honor this deep bond, we had two photo shoots filled with romance. 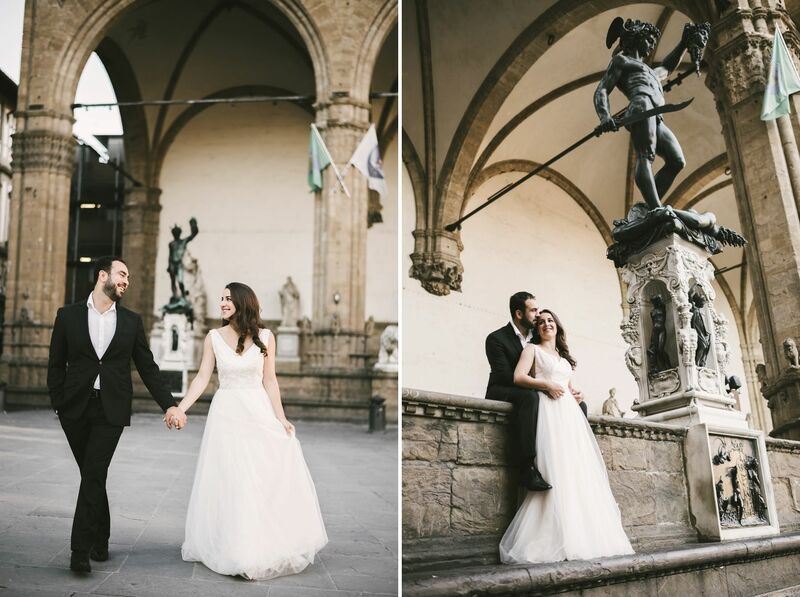 The first one was a prewedding session at sunrise in Florence, where they could express all of their emotion with no one around. 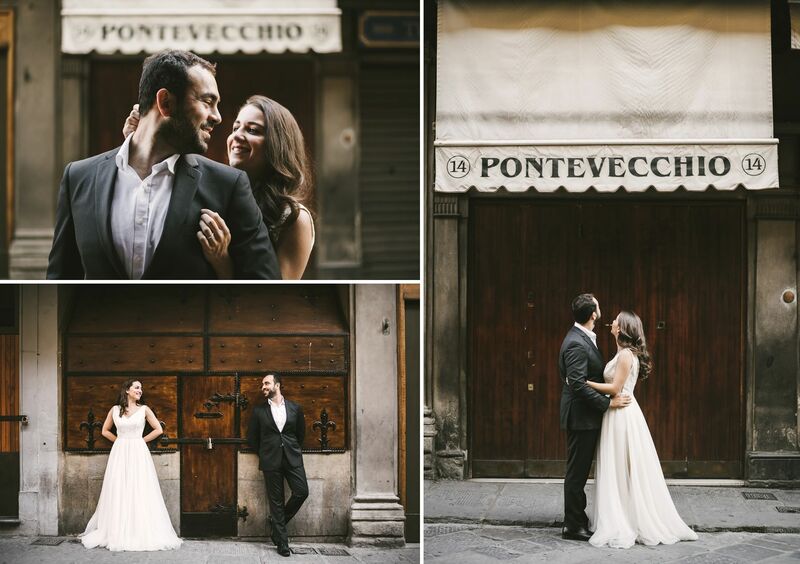 The city was still asleep, the streets were empty and the warm light of sunrise filled every corner with a golden shimmer. 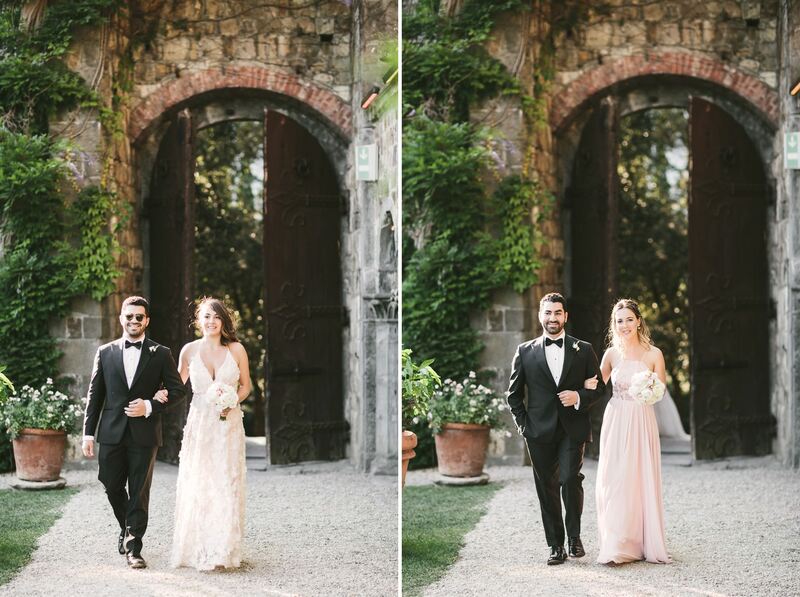 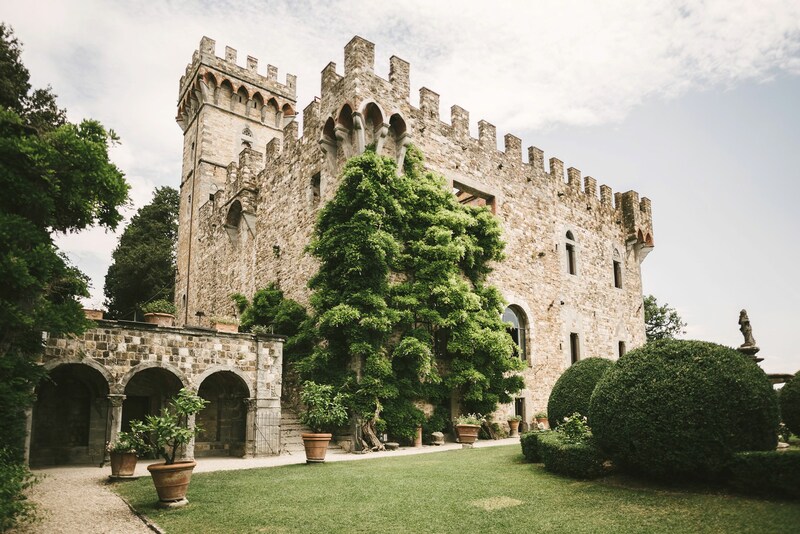 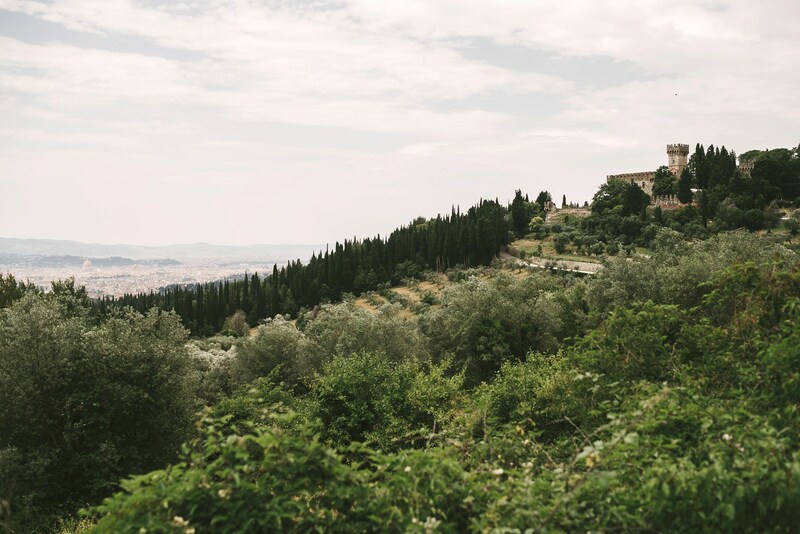 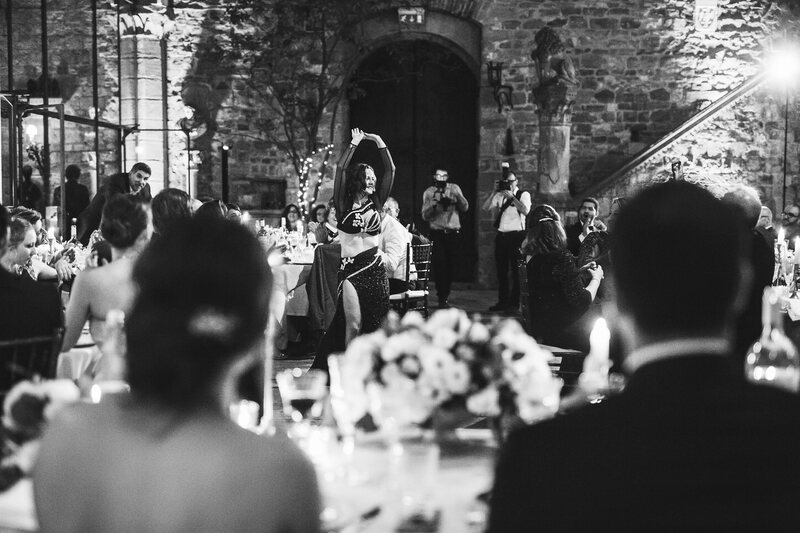 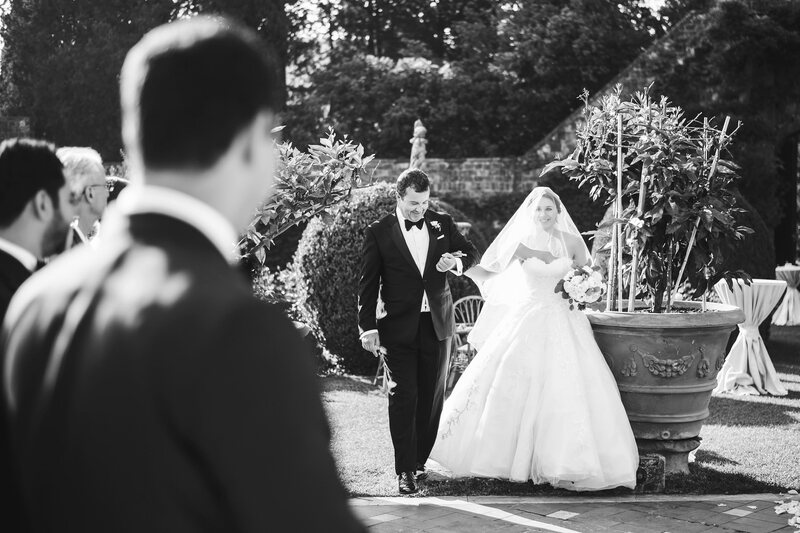 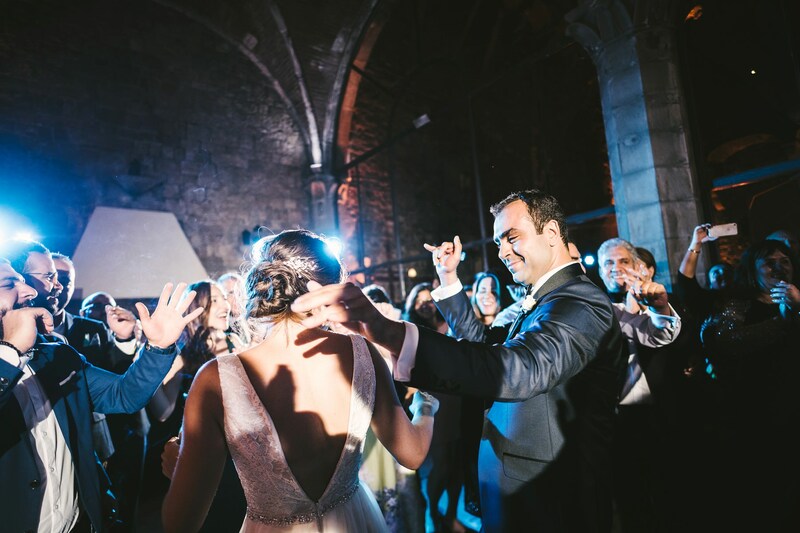 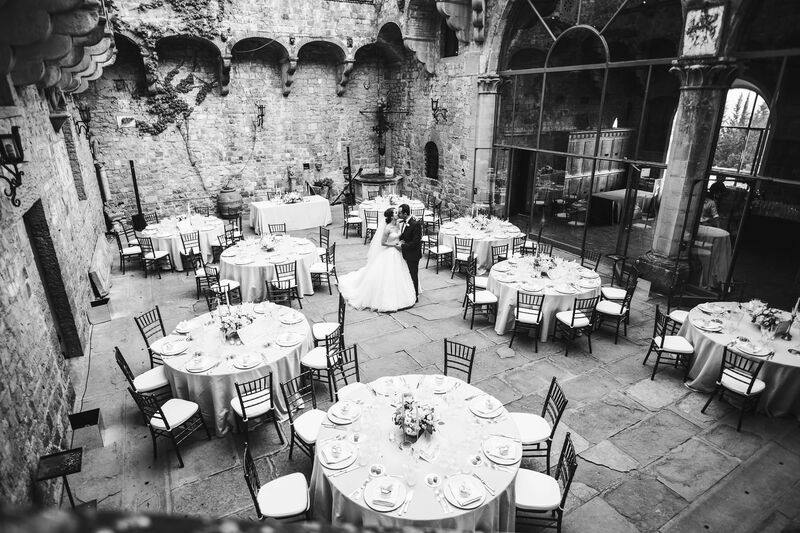 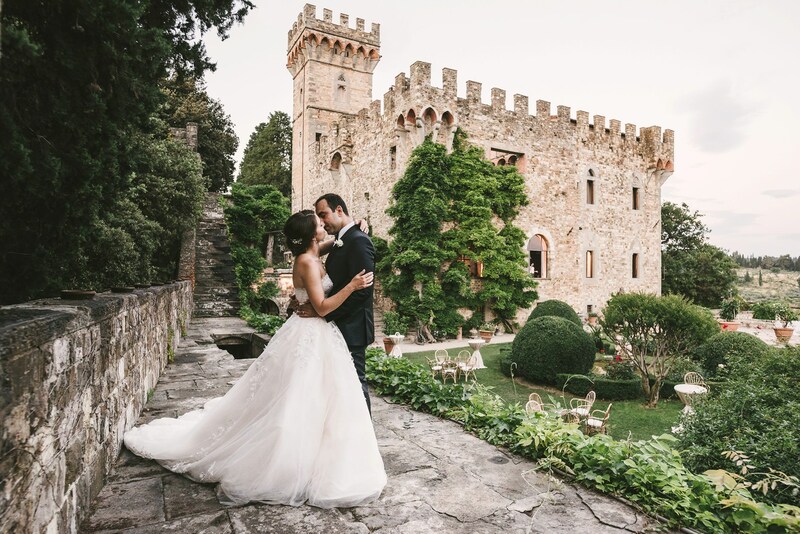 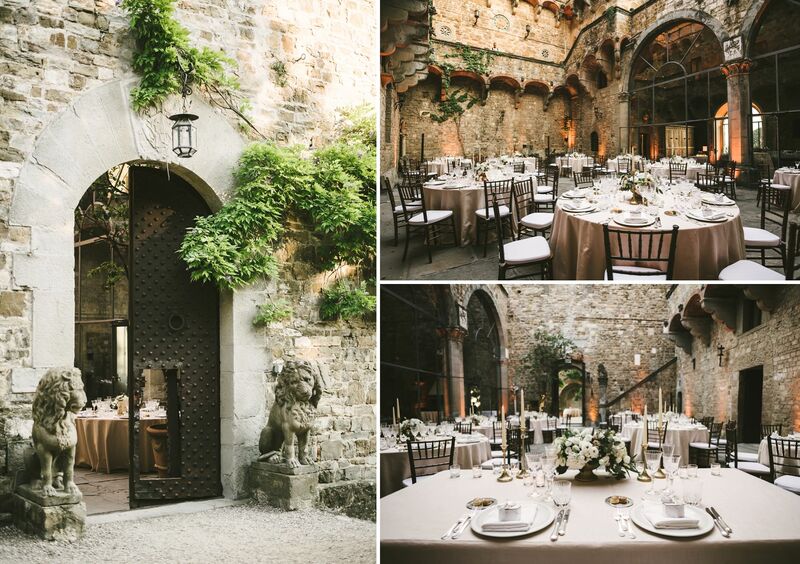 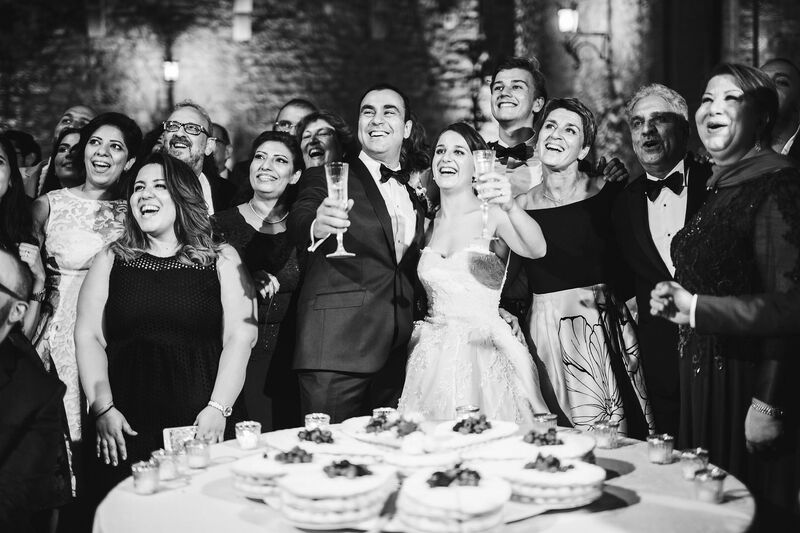 Two days after, the elegant wedding took place at Vincigliata Castle, an historical building surrounded by lush green hills. 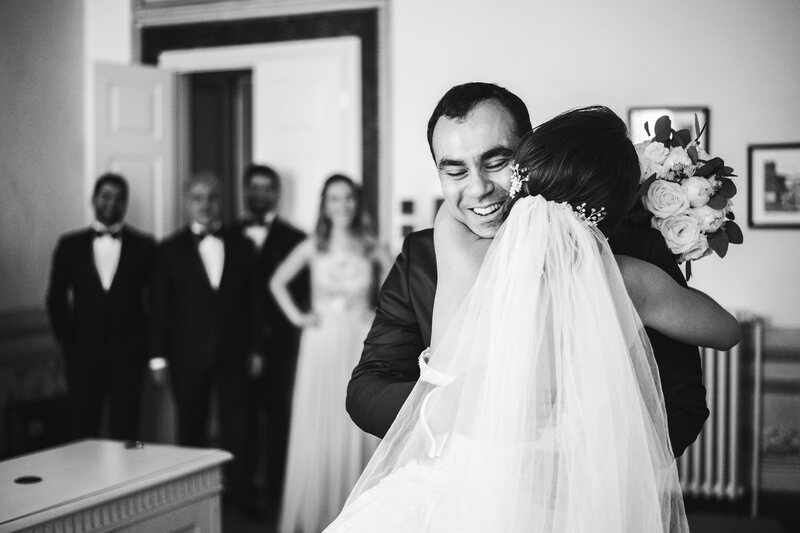 It felt like being in a movie: there were so much happiness and love in the air that you could see them with your eyes. 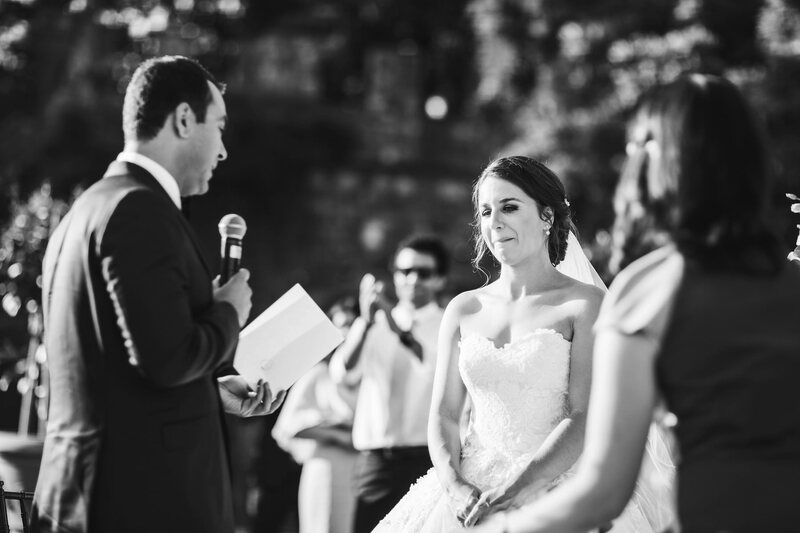 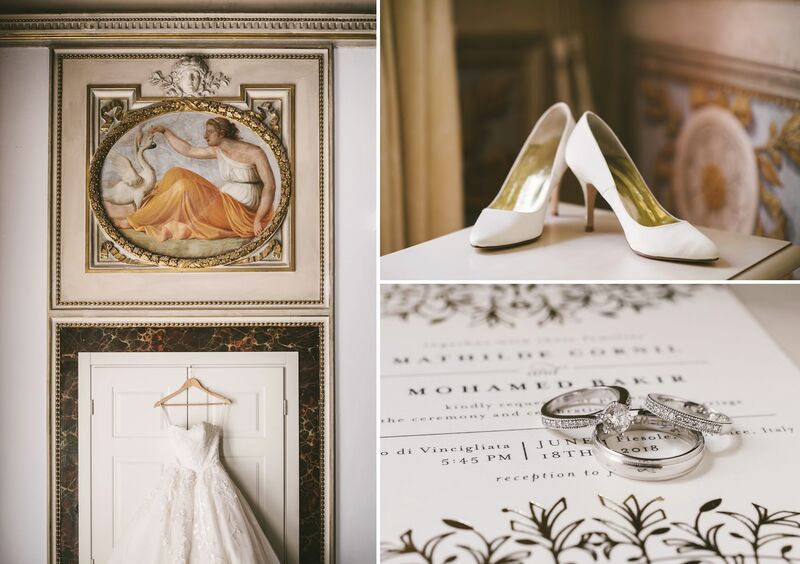 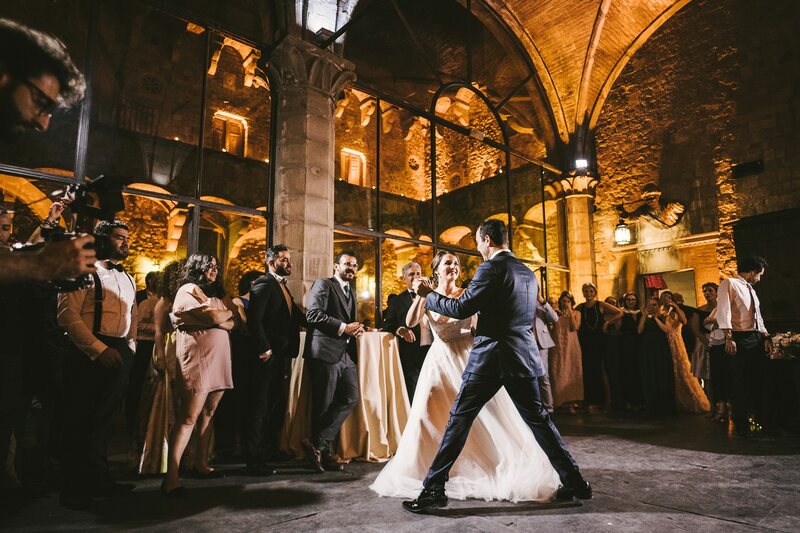 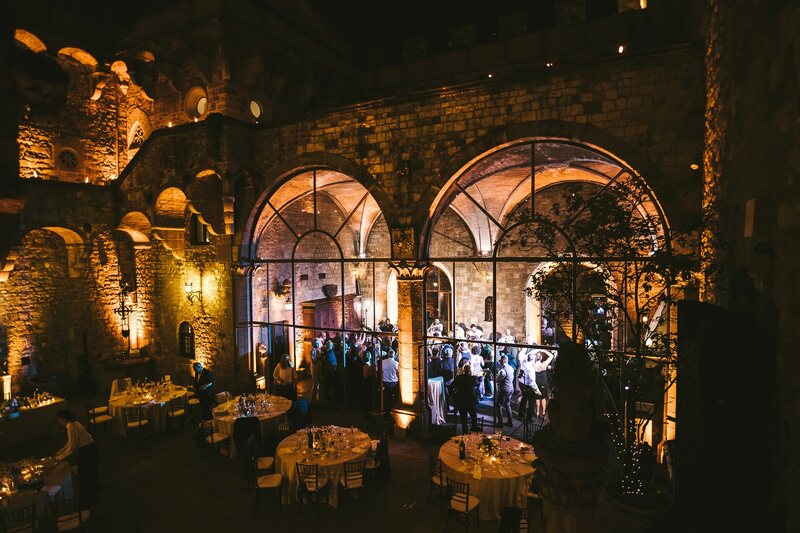 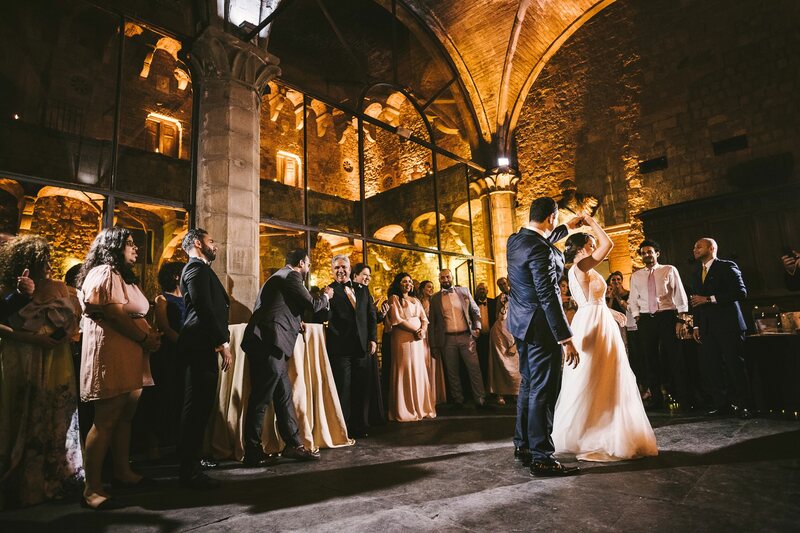 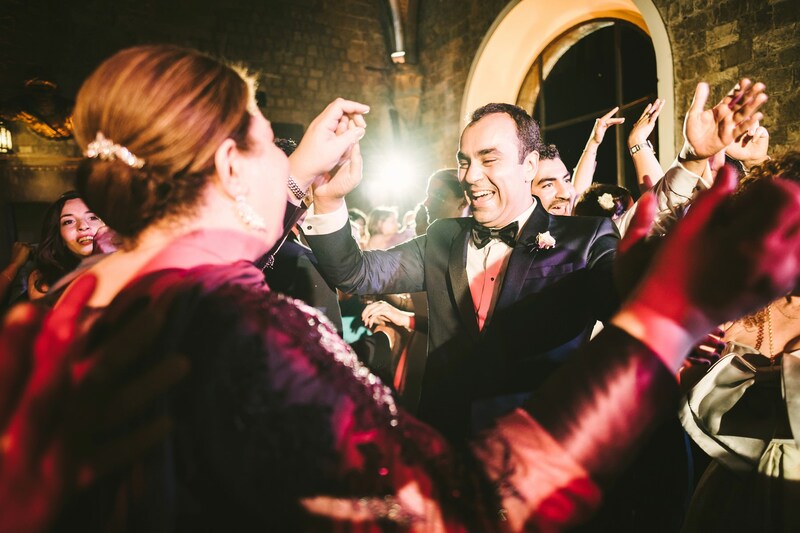 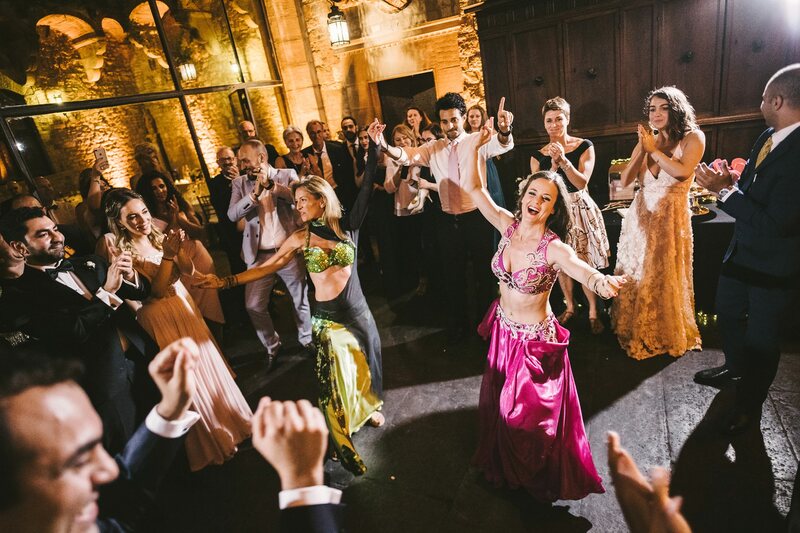 If you have been dreaming of a destination wedding in Italy, for whatever reason, just get inspired by Mathilde and Mohamed’s special event. 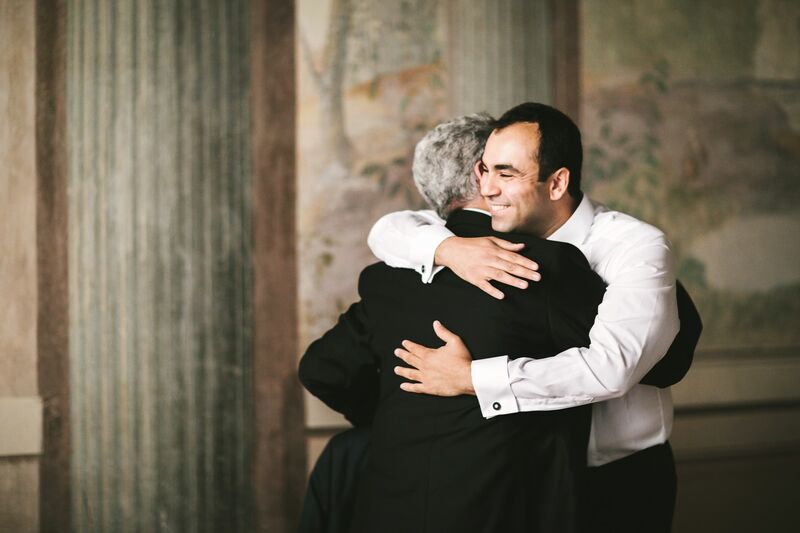 You can have the same and feel the same. 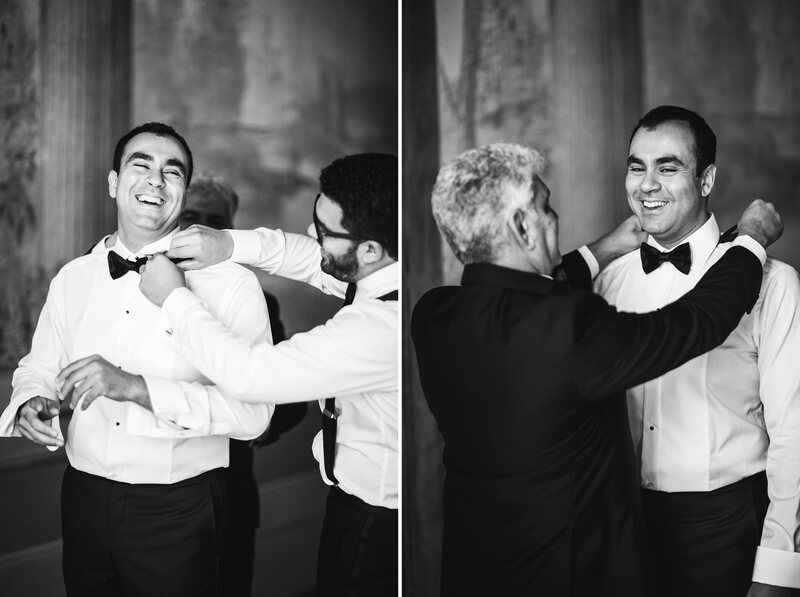 You can live your own marvellous day and save memories of it forever. 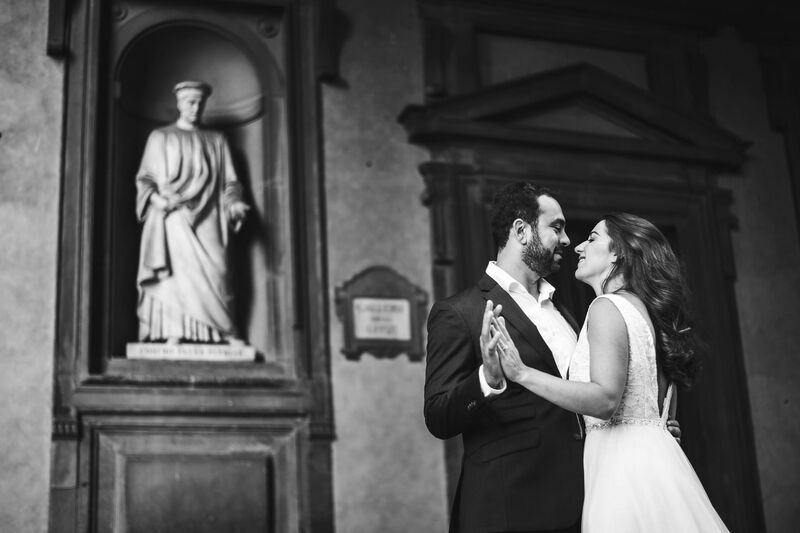 As your wedding photographer in Florence, I will be happy to capture your love in the best spots of the city during a prewedding shooting or after the ceremony. 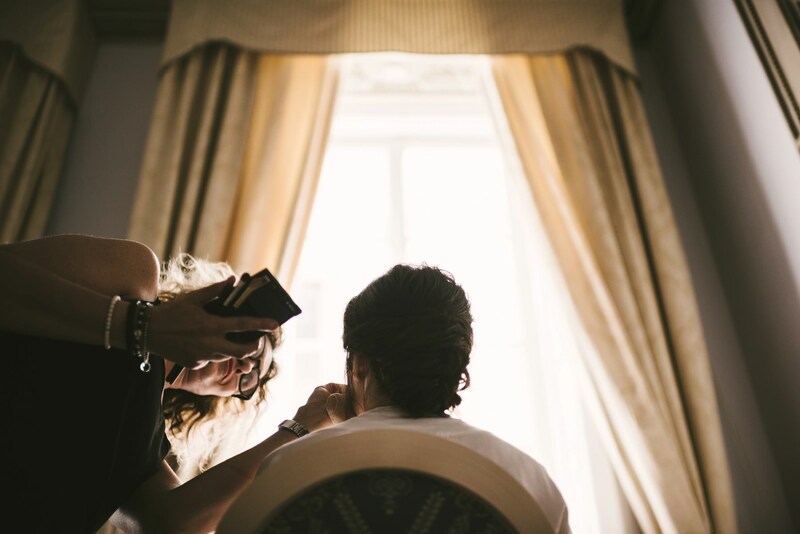 Whether it is at sunrise or sunset, it will surely be wonderful and perfect. 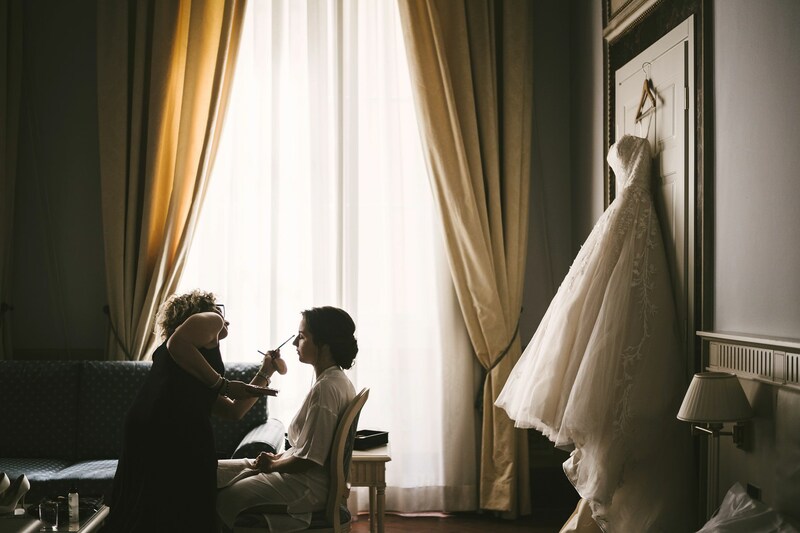 It will be just what you were wishing for. 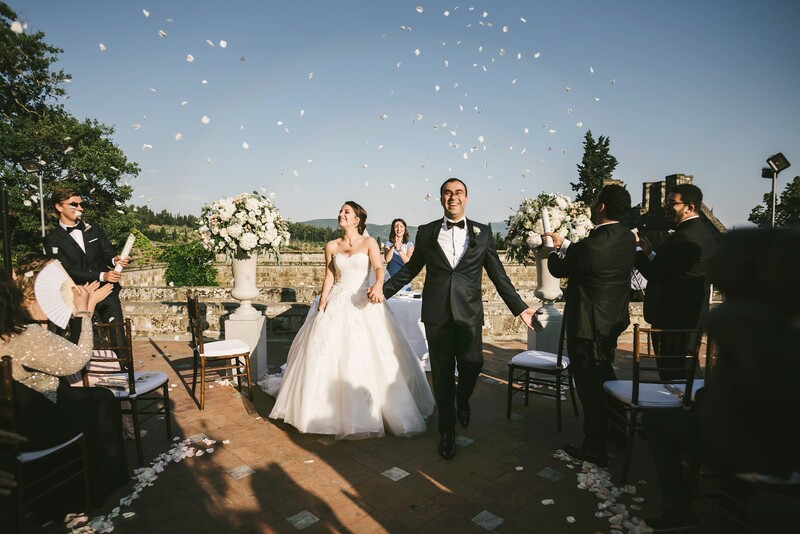 So if you really want to take the extra step towards your loved one, why not do it with a destination wedding in Italy filled with a whole lot of romance? 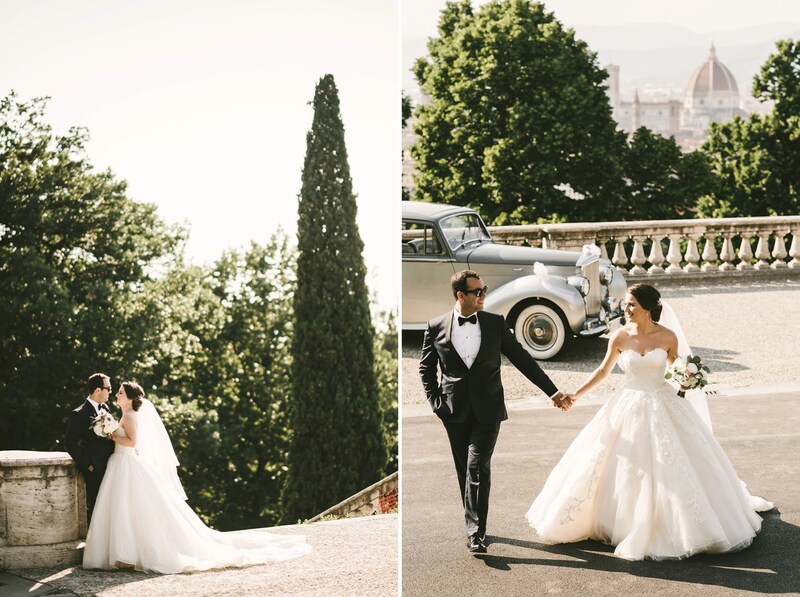 Destination wedding in Italy: take the extra step with a whole lot of romance! 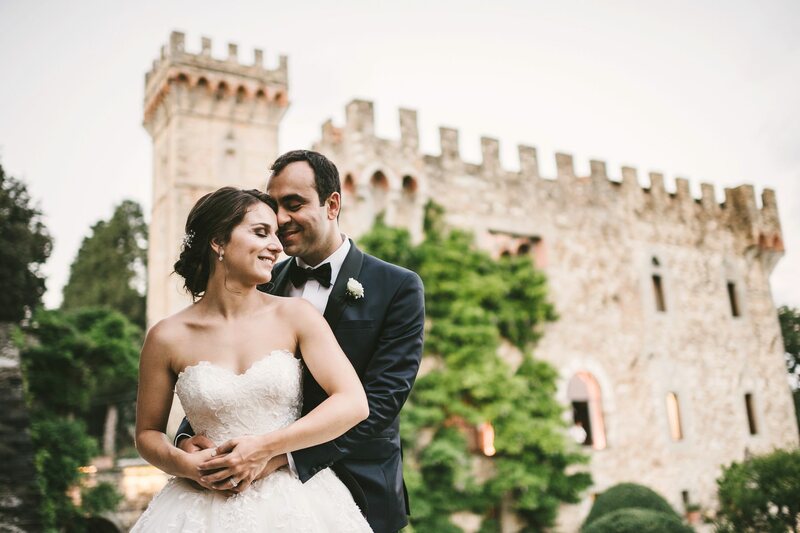 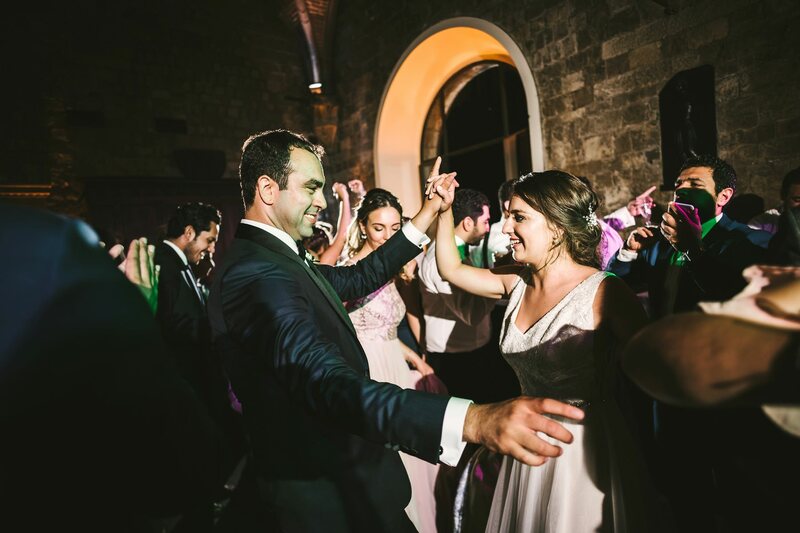 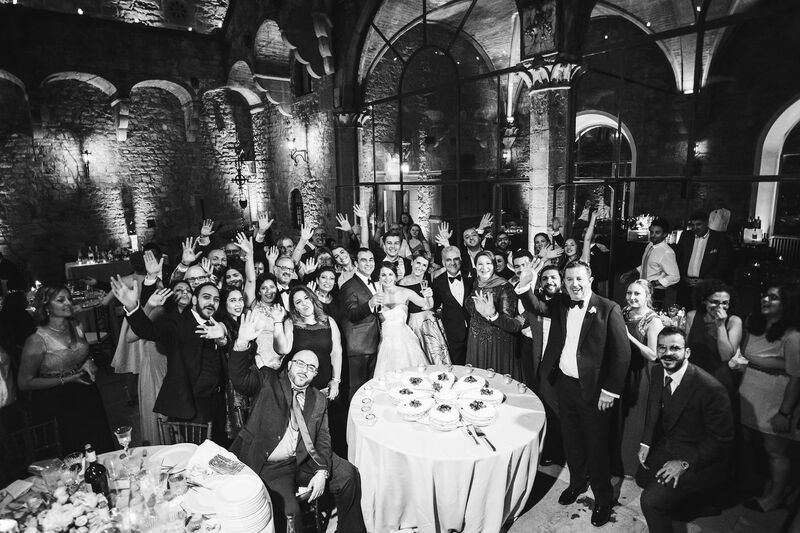 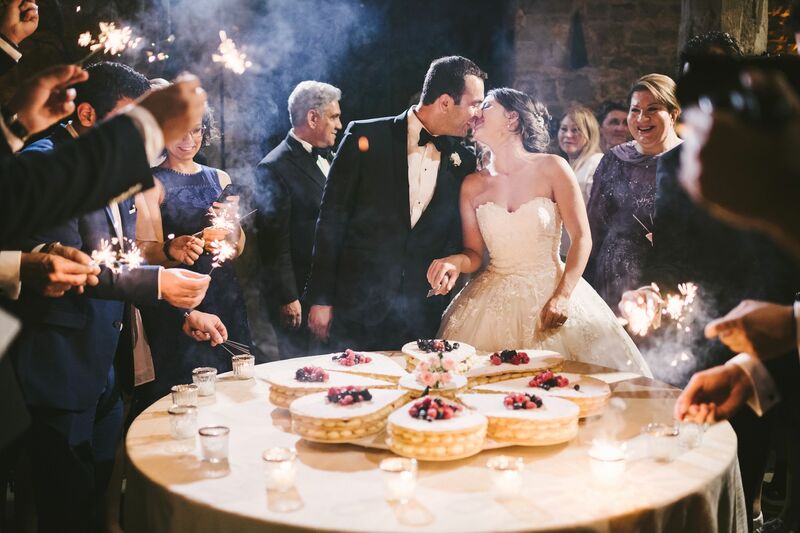 If you have been dreaming of a destination wedding in Italy, for whatever reason, just get inspired by Mathilde and MohamedÕs special event. 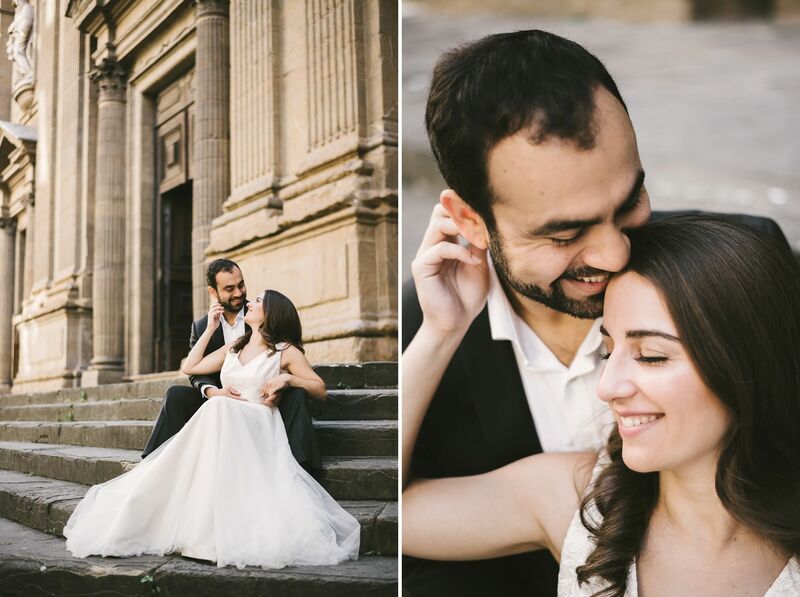 You can have the same and feel the same. 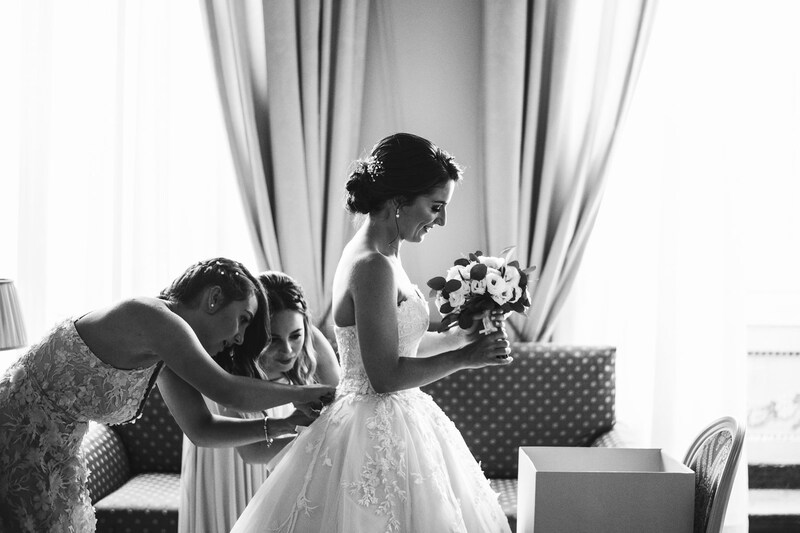 You can live your own marvellous day and save memories of it forever. 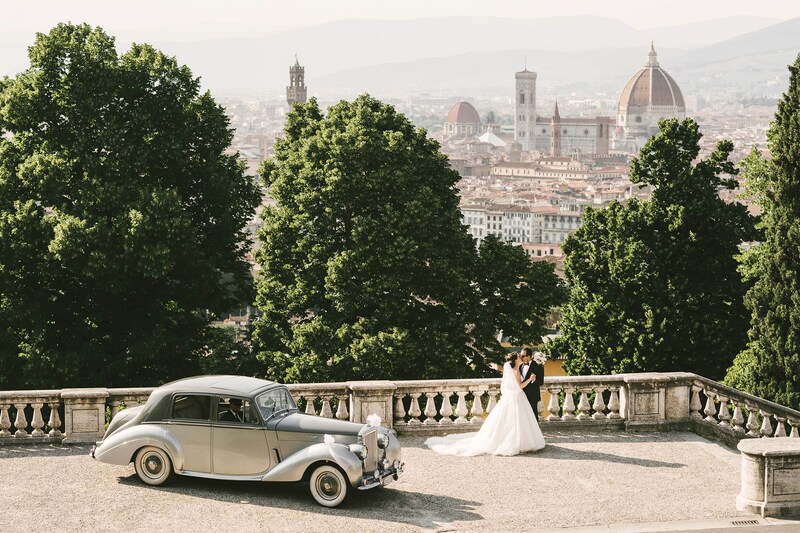 Bride and groom arrive at Vincigliata Castle in Rolls Royce vintage car for their destination wedding in Tuscany countryside. 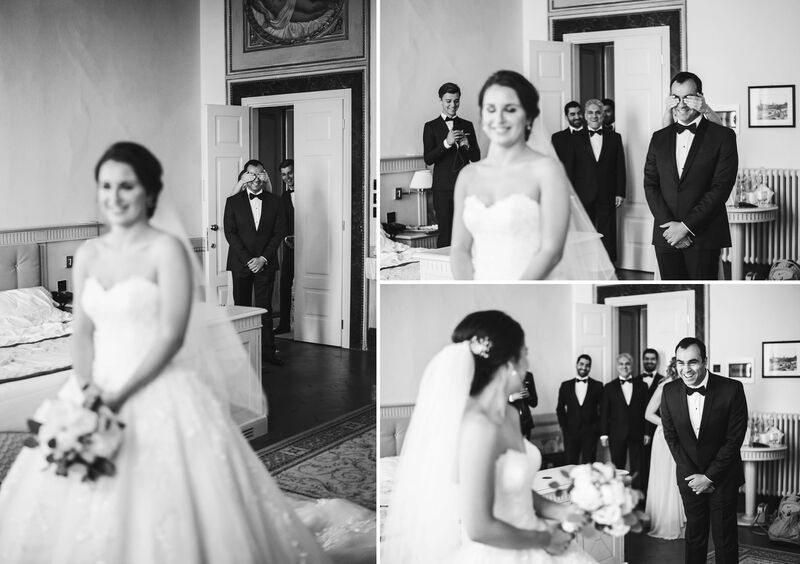 Guests are excited. 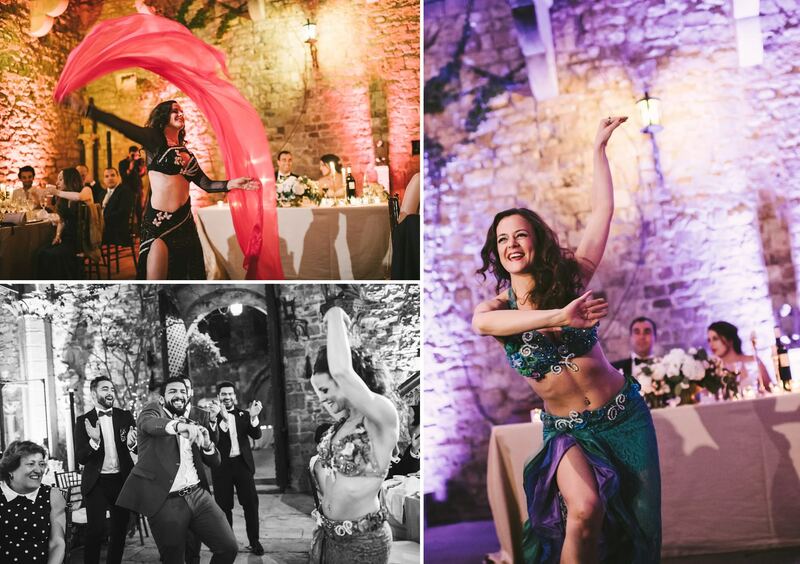 Reportage wedding photography by Gabriele Fani during destination wedding reception in Vincigliata Castle. 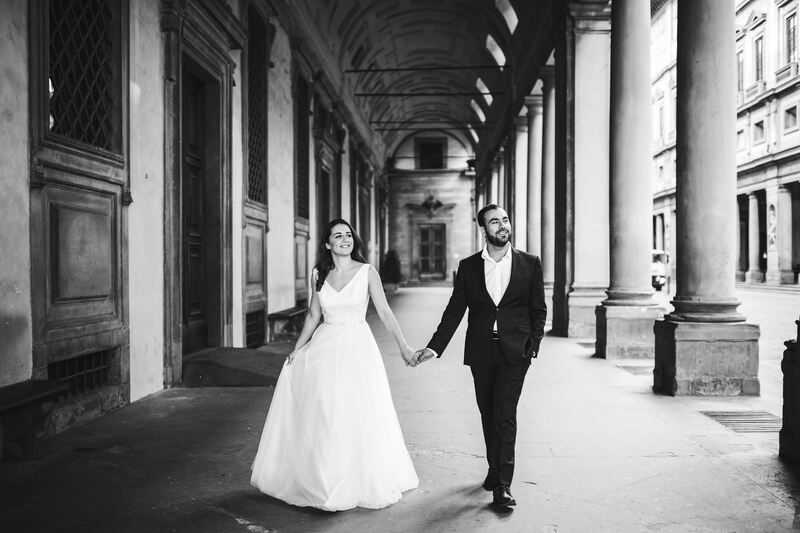 Don’t forget to take a look at the cinema trailer made by Vertigo Wedding Films below! 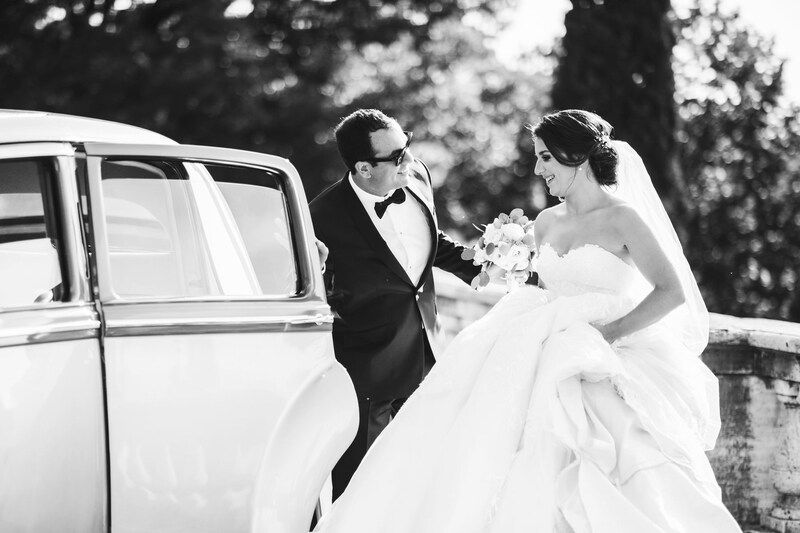 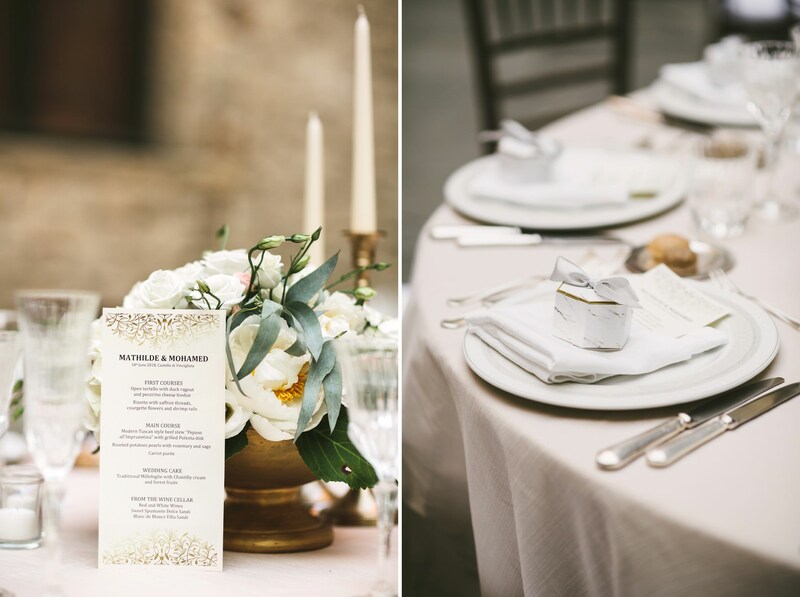 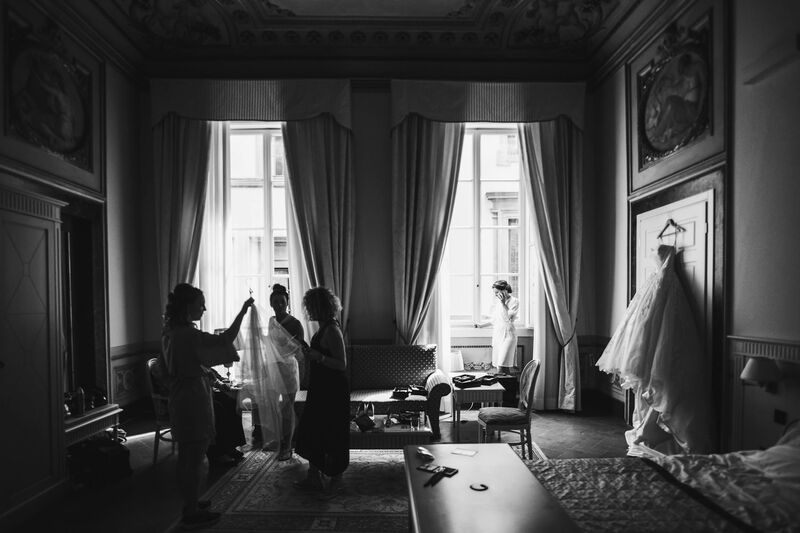 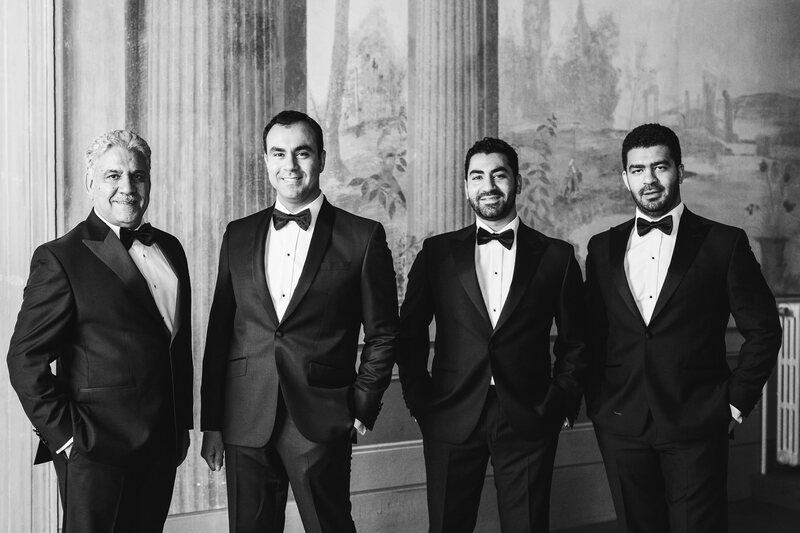 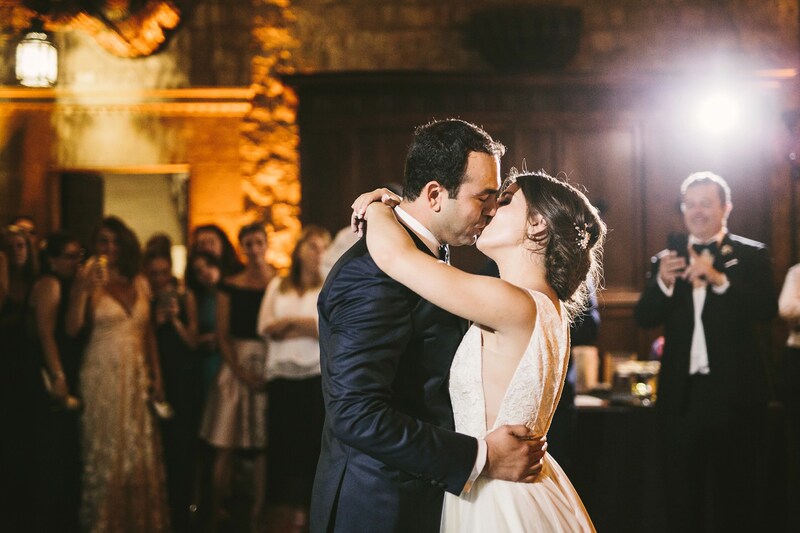 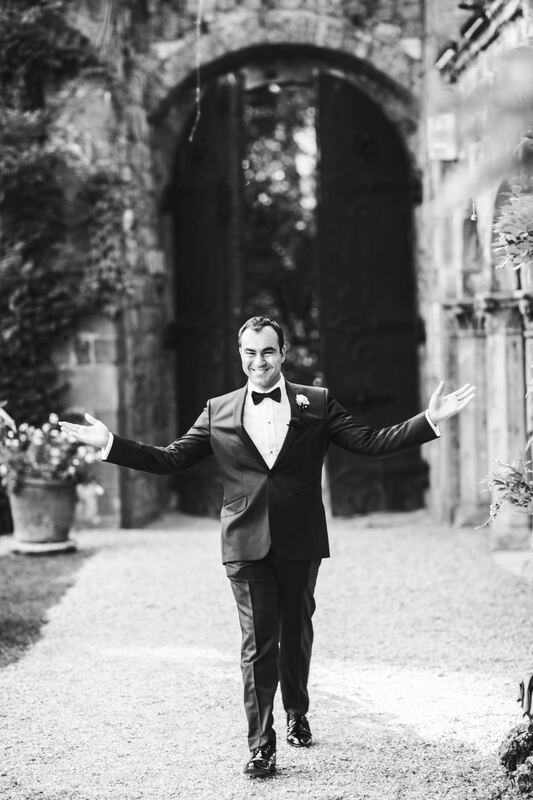 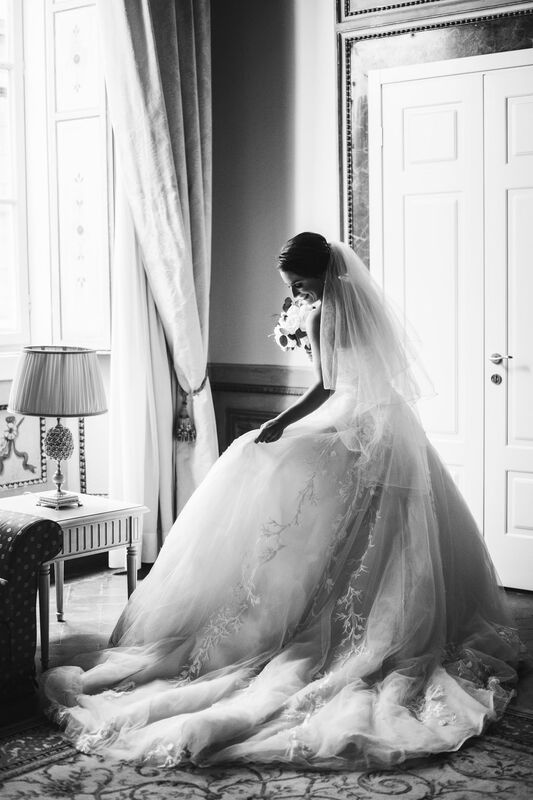 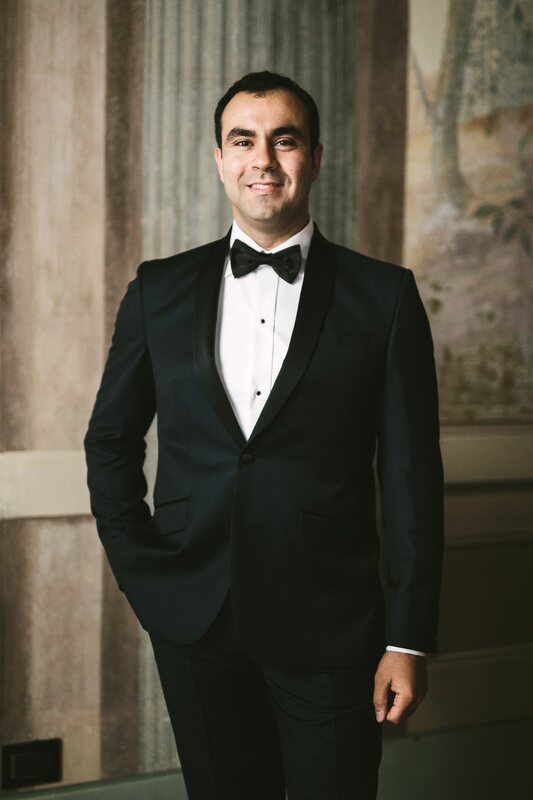 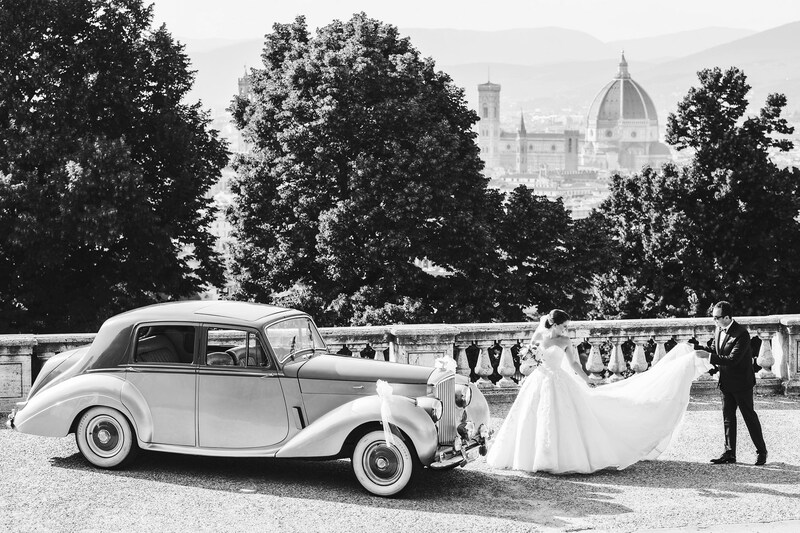 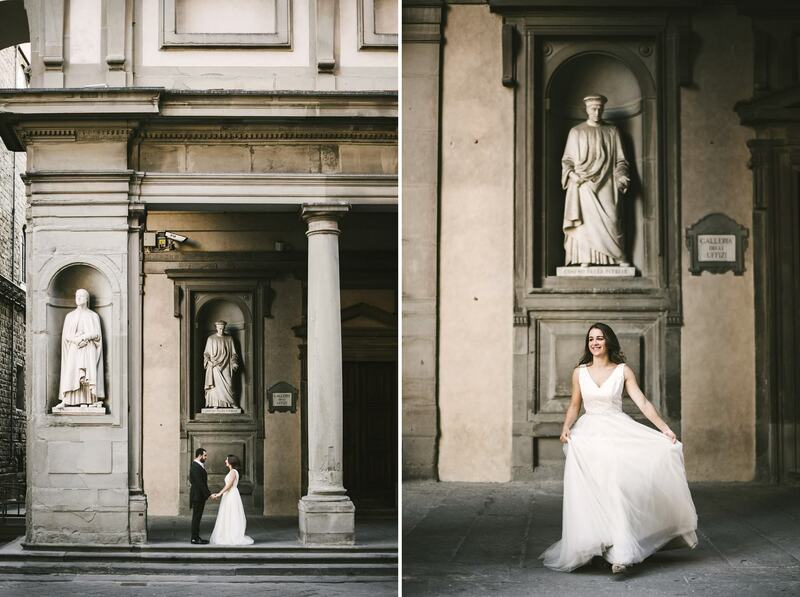 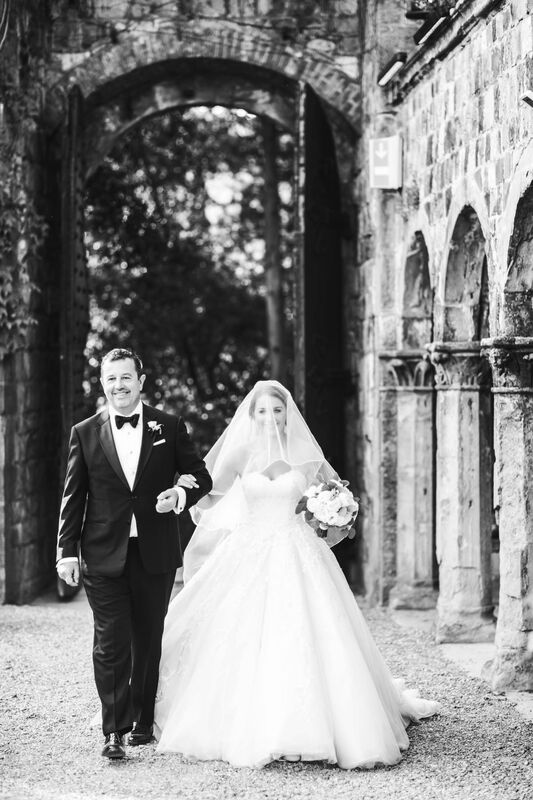 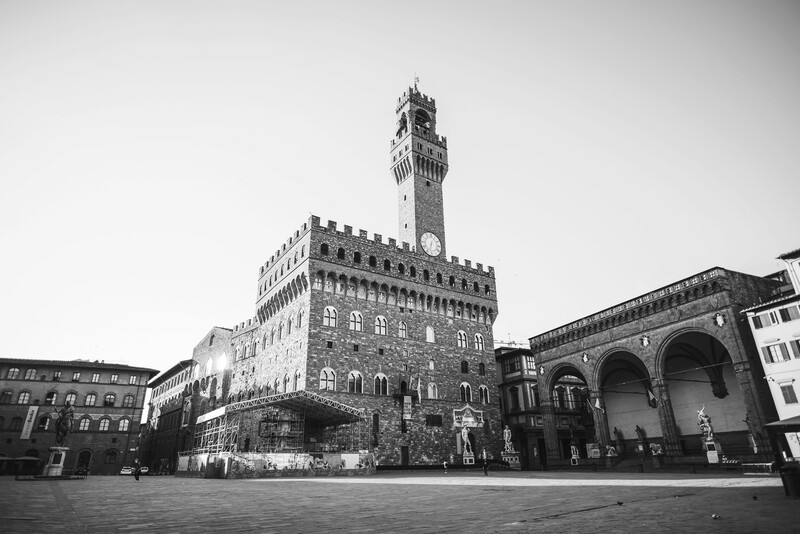 Elegant elopement wedding at the timeless Four Seasons in Florence!